Movies can be a source of inspiration for both students and teachers. Quotations provide a quick and easy way to integrate inspiration into the classroom, as they are usually explicit or implicit statements of ideals. When making a decision or forming a conclusion, self-actualized people tend to resist impulsivity. Before having students watch a film (or selections from one), teachers should provide a context and a purpose for viewing the video. To illustrate, consider a middle school teacher who wants to show excerpts of the. movie Remember the Titans. The teacher might first address the context of the film by talking to students about segregation as well as the Supreme Court’s 1954 ruling in Brown v. Board of Education. The purpose, as articulated by the teacher, should always focus on ideals that are represented in the clip and be age- and subject-matter appropriate. 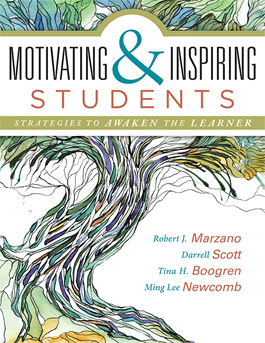 As such, the teacher might preface the viewing by defining what an ideal is, describing how ideals relate to inspiration, and asking students to think about this concept. As students watch, the teacher might pause the film occasionally to get students’ reactions about how characters treat each other and how these relationships change. After watching Remember the Titans, the teacher could lead a discussion about the film’s depiction of the hostility toward African Americans during the reintegration of schools in the South. The teacher could then ask students to articulate ideals they felt were shown in the movie. For example, a student might generate the following list of ideals. People can learn to overcome their differences to care for one another, even if at first it seems unlikely. People can go on to do great things, even after they experience tragedy. Hard work does pay off, even if it is difficult and not rewarding initially. Setting an example by doing what is right can have a huge positive impact on a community. A valuable feature of incorporating inspiring quotes into the class¬room is that teachers can offer them to students with little explanation. For example, a teacher might begin his or her class by displaying an inspirational quote on a PowerPoint slide or whiteboard but choose not to address it directly. Alternatively, the teacher could comment briefly on the quote by providing information about its author and its key ideal or ask students to take a few minutes to think about the quotation’s mean¬ing without further discussion. For a more in-depth activity, teachers can ask students to rephrase ideals embedded in quotations. For example, consider the following quotation from Albert Einstein: “It is the same with people as it is with riding a bike. Only when moving can one comfortably maintain one’s balance” (as cited in Isaacson, 2007, p. 565). After reading this to students, a teacher could ask them to work in small groups to identify an ideal from the quote that inspires them and discuss how it applies to their lives (p. 14). Generally, this involves considering both the importance of the decision or conclusion as well as the range of available options before taking action. A self-rating scale for this disposition is depicted in figure 3.12. Score 4.0 When making a decision or forming a conclusion, I consider all of my possible actions and their likely outcomes and then make a thoughtful decision or conclusion based on the risk associated with the decision or conclusion. Score 3.0 When making a decision or forming a conclusion, before taking action I consider my desired outcome and how my actions are likely to help me reach this outcome. Score 2.0 When making a decision or forming a conclusion, I might consider how my actions relate to specific outcomes, but this doesn't typically inform my actions. Score 1.0 When making a decision or forming a conclusion, I consider my actions and specific outcomes only when prompted by a teacher. Score 0.0 When making a decision or forming a conclusion, I act without considering how my actions might lead to specific outcomes. Central to the disposition of resisting impulsivity is the concept of probabilistic conclusions, which are con-clusions that have probabilities attached to them, such as “I have probably studied long enough for the test” or “It doesn’t seem like it will rain today.” Generally, these statements include terms that denote the certainty or uncertainty of outcomes: for example, probably, maybe, unlikely, possible, and not sure. Having students assess their probabilistic conclusions is a form of risk, accuracy, and behavior analysis (pp. 45–46).